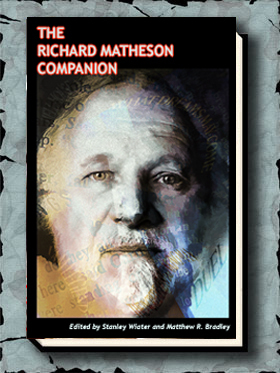 COME FYGURES, COME SHADOWES is a previously unpublished novel by Richard Matheson. Matheson intended on COME FYGURES, COME SHADOWES to be a 2000-page novel (he discusses the book in Gauntlet’s HUNGER AND THIRST). His editor, after seeing the first section of the book, told Matheson that there was no way such a massive novel would sell. Matheson reluctantly discontinued his work on the novel. As he discusses in the Afterword of the book, which Matheson wrote expressly for this edition, not completing the book was a decision he will forever regret. A portion of COME FYGURES, COME SHADOWES appeared in a book of Matheson’s novellas and short stories years ago but this is the first time all of what he wrote for this book is being published. COME FYGURES, COME SHADOWES deals with a medium who desperately wants her daughter to follow in her footsteps. It’s both a supernatural thriller and a story of child abuse that won’t soon be forgotten by the reader. In his Afterword, Matheson provides the rest of the plot of the 2000-page book he originally envisioned. 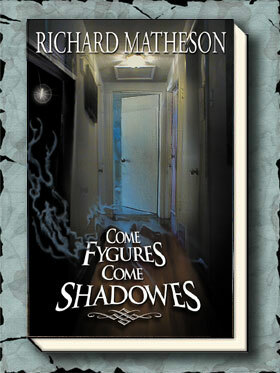 Although Matheson only wrote 144-pages of COME FYGURES COME SHADOWES, it is in and of itself a novel, ending perfectly. 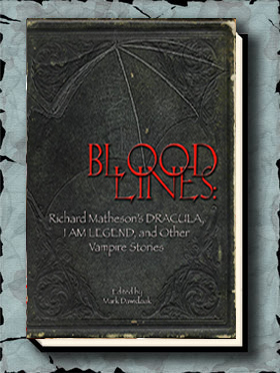 It is some of Matheson’s most gripping and intense work, and is destined to join A STIR OF ECHOES, I AM LEGEND and THE SHRINKING MAN as a Matheson classic. Cover art is by Michael Bayouth. “This short taste of COME FYGURES COME SHADOWES proves that this could have been an amazing novel.” — Richard Laymon Kills!